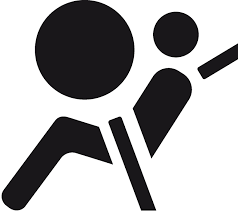 If your vehicle is equipped with an airbag we suggest you read this post immediately. The National Highway Traffic Safety Administration says it has upped to nearly 8-million the number of vehicles that may be affected by faulty airbags built by Takata. Caranddriver.com says the airbags have the potential to inflate improperly, resulting in the shrapnel-like shooting of metal fragments. The NHTSA is providing a list of potentially affected vehicles but says that list may change as more information becomes available. We advise running your vehicle’s VIN through the NHTSA’s database to see whether it falls under the recall, and then signing up for alerts so as to stay informed. You can also check your manufacturer’s website for more information.